More bad news for the Frerichs Team. 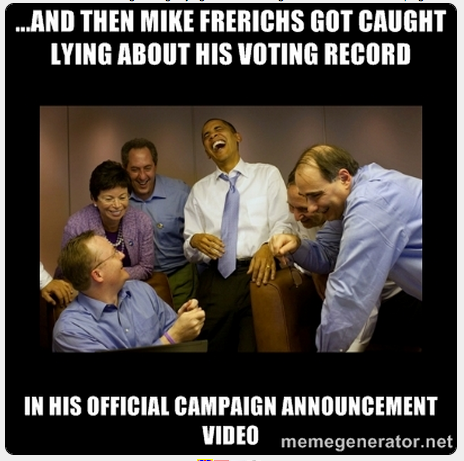 Looks like Democrat State Senator and Illinois Treasurer's Candidate Mike Frerichs hero Barack Obama has checked in on his #talltales. Took just a week for the news to travel to the West Wing, it seems. Along with David Axelrod, Valerie Jarrett, and even Robert Gibbs, the Obama Team appears to be having a good laugh at the expense of Mike Frerich's big lie. This can't be good for Frerich's campaign morale. These guys are legends, right?